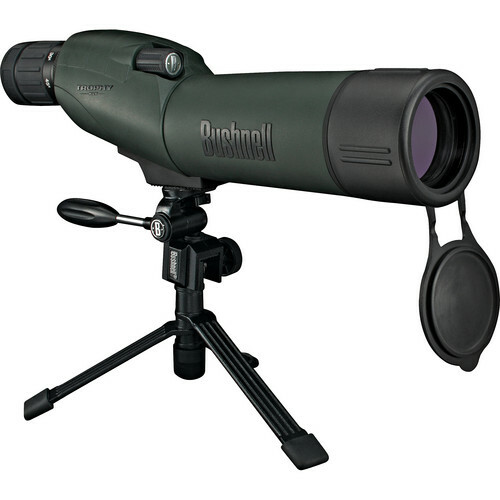 The Trophy 15-45x50mm Spotting Scope Kit from Bushnell provides extra power for farther seeing. This is a portable, all-weather spotting scope that comes with a table-top tripod and rubber armoring. It is weather-proofed with O-rings and is nitrogen-purged to withstand complete immersion in water and still stay dry inside. There is a hard case included for when protection is more important than the extra weight. There is also a convenient soft bag for when less weight is more important than the hard sided protection. 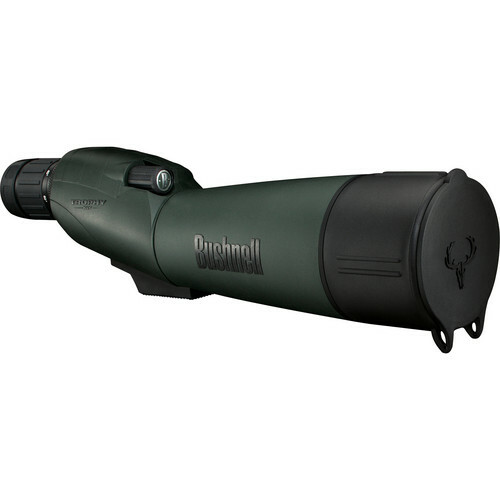 This scope has a straight viewing design with fully multicoated optics and a zoom magnification up to 45x. There is an attached objective lens cover to help keep the lens clean and smooth.